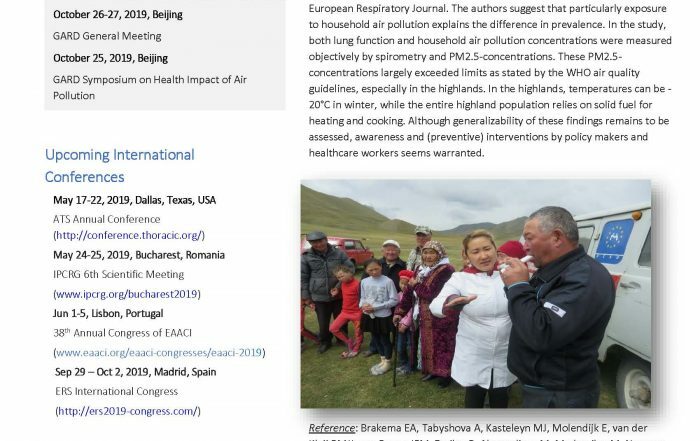 Global Alliance Against Chronic Respiratory Disease | A world where all people breathe freely. 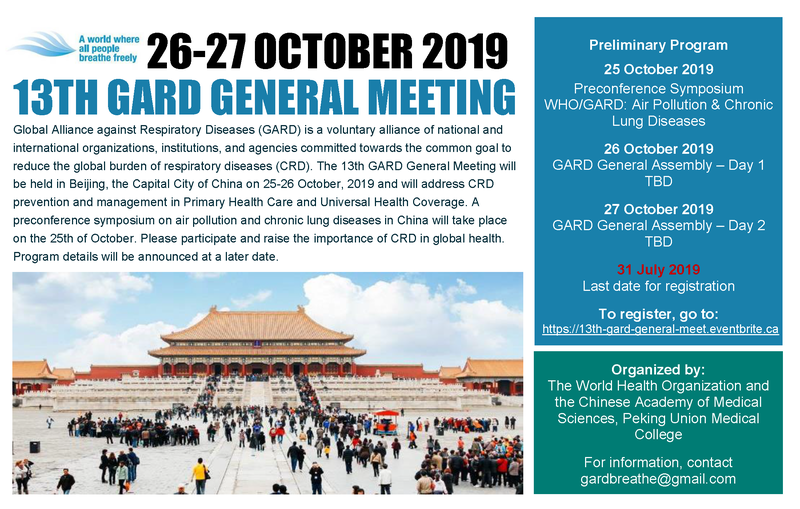 The Global Alliance Against Chronic Respiratory Diseases (GARD) is a voluntary alliance of national and international organizations, institutions, and agencies committed towards the common goal to reduce the global burden of respiratory diseases. 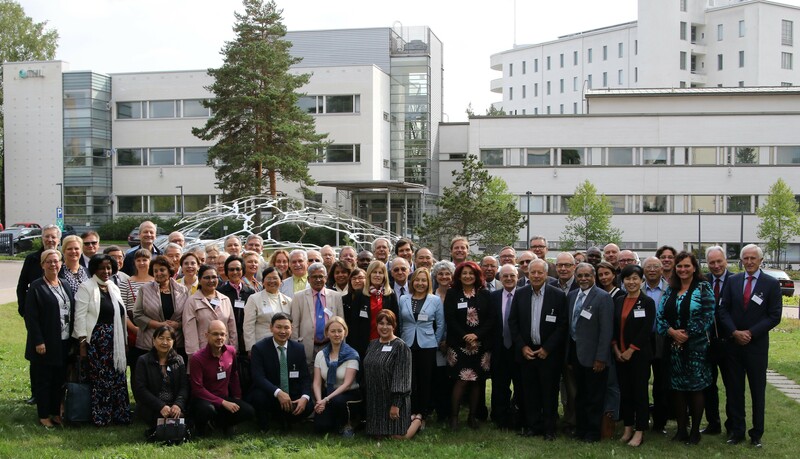 The Global Alliance is part of the global work to prevent and control chronic diseases. 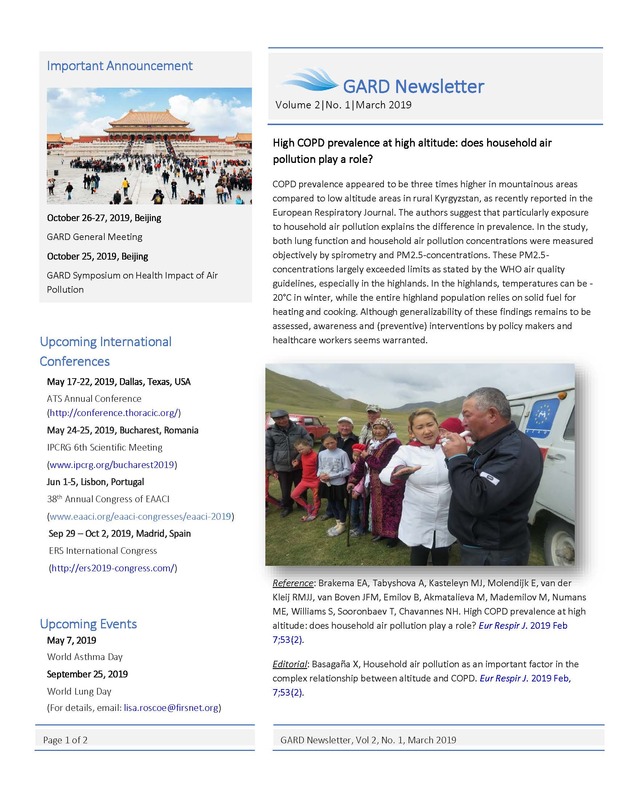 Since most of the chronic respiratory diseases are under-diagnosed, under-treated and the access to essential medications in many countries is poor, a global effort to improve diagnosis and medical care is needed. The Global Alliance was officially launched on 28 March 2006 in Beijing, People’s Republic of China.